They are not dead, nor are they alive…. 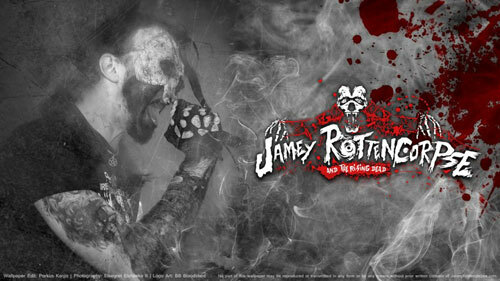 Jamey Rottencorpse & The Rising Dead started of on Halloween 2009 and have been working their way out of the grave on to Stages all over Germany…. A mixture of Old- and New-School HorrorPunk with a twist of metal and a slight blend of Rock N Roll. Spice it up with a big spoon of Rocky Horror Picture show… Cook for 138 hours on an oven set on „punk“…and there you have it.